The world is now in the fourth decade of a pandemic that united all the nations more than any other calamities or policies. The numbers with relation to HIV are falling consistently. Unfortunately the funding is also decreasing. In the current uncertain economic environment, the Joint United Nations Programme on HIV and AIDS (UNAIDS) has set a very ambitious target of reducing HIV to zero by 2015. There are strategies that are good and cost-effective and, if used appropriately, will give remarkable results. No new innovations have recently been discovered related to HIV. More molecular level studies are needed besides strengthening the existing strategies. We need money for all these activities and it should not stop coming. The paper reviews the success of HIV program in India and also foresees the challenges lying ahead of us in "getting to zero." 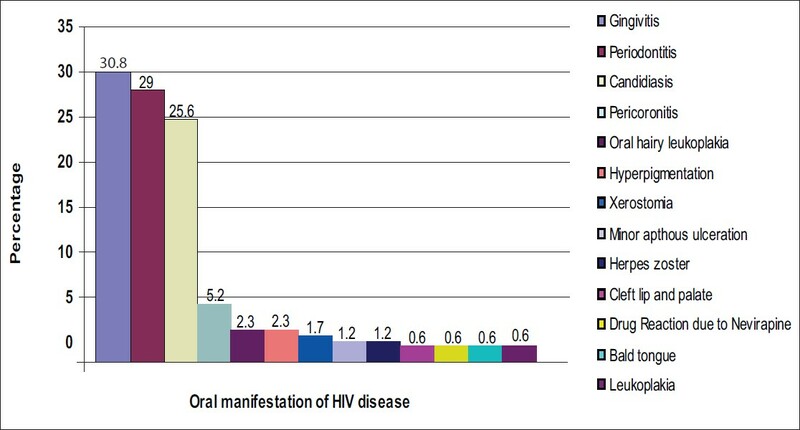 Background: Heterosexual transmission of HIV among married couples is the commonest mode of transmission seen in India. Intramarital transmission is associated with several challenges which need to be further researched. Aim: To study level of seroconcordance and serodiscordance among HIV positive couples and factors affecting intramarital sexual transmission in terms of safe sexual practice, and the presence of Sexually transmitted infections (STI)/circumcision. Materials and Methods: Ninety-one monogamous married cohabiting HIV-positive cases (index cases) attending Department of Skin and Venereology, Medical College Baroda, from January 2009 to August 2009 were studied. Their spouses were tested for HIV. A structured proforma was used to study various factors like condom use, circumcision, and the presence of sexually transmitted infections. Results: Ninety-one monogamous married cohabiting HIV-positive cases were included in the study and considered as index cases. There were 51 males and 40 females. 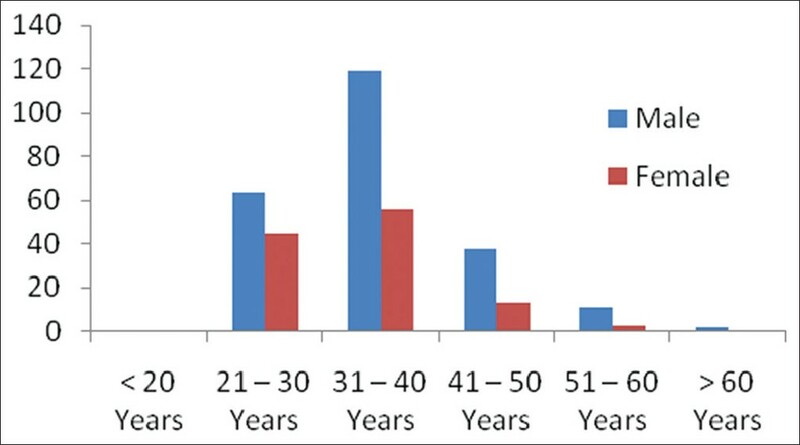 On testing their spouses for HIV, both the spouses were positive in 55 couples giving rise to 60% seroconcordance rate. Out of 55 seroconcordant couples, male spouses used condom in 16 cases (29%). Out of 36 serodiscordant couples 17 male spouses (47%) used condom. Evidence of STD was observed in one of the spouses in 6 out of 55 seroconcordant couples and 6 out of 36 serodiscordant couples. Thus, out of 91 couples one of the partners was having STI in 12 couples. Overall rate of circumcision was 12.2%. Conclusion: The prevention of transmission of HIV to the HIV negative partner is of paramount importance. Serodiscordant couples, specially the HIV negative female partner is at higher risk. Less acceptability of condoms among married couples may be one of the factors responsible in transmission. Further studies are needed to explore other risk factors associated with HIV transmission in discordant couples. Introduction: There has been a significant increase in general awareness about Sexually transmitted diseases (STD's) among the general public. However, rates of partner notification and treatment which are an integral part of STD awareness is still questionable. Methodology and Results: We analyzed the statistics for prevalence of partner notification (which is about 52%) as well as the possible reasons for non-compliance. An overview of various ways of partner notification has been given as patient delivered partner medication (PDPM) and patient based partner referral (PBPR) of which PDPM is the most acceptable and effective method worldwide. Background: Surat city is vulnerable to transmission of sexually transmitted infections (STIs)/HIV due to its huge migratory population in diamond and textile industries. Females working in textile industries were not receiving focused intervention although they were at high risk of acquiring STIs/HIV. Objective: The present study was conducted to know the prevalence of various STIs and HIV among the group of female textile workers in Surat city. The findings of the study will be helpful for policy decision makers to address the issues of a specific vulnerable group. Materials and Methods: A total 257 female workers in various textile markets were enrolled in the present study. Data were collected by the help of a pre-tested questionnaire and analysis was done by using Microsoft Excel and the EPI Info software. Result: Overall prevalence of various STIs/RTIs (reproductive tract infections) was 16.73%, whereas HIV positivity was 1.17%. Bacterial vaginosis and candidiasis were the most common infections. Conclusion: Groups such as female textile workers need to be taken care of especially to enhance the HIV prevention and control activities in Surat city, which would help in breaking the chain of transmission. Background: Mucocutaneous diseases are among the first-recognized clinical manifestations of acquired immune deficiency syndrome. They function as visual markers in assessing the progression of human immunodeficiency virus (HIV) infection. Given the relative ease of examination of skin, its evaluation remains an important tool in the diagnosis of HIV infection. Objective: To determine the pattern of mucocutaneous manifestations in HIV-positive patients and to correlate their presence with CD4 counts. 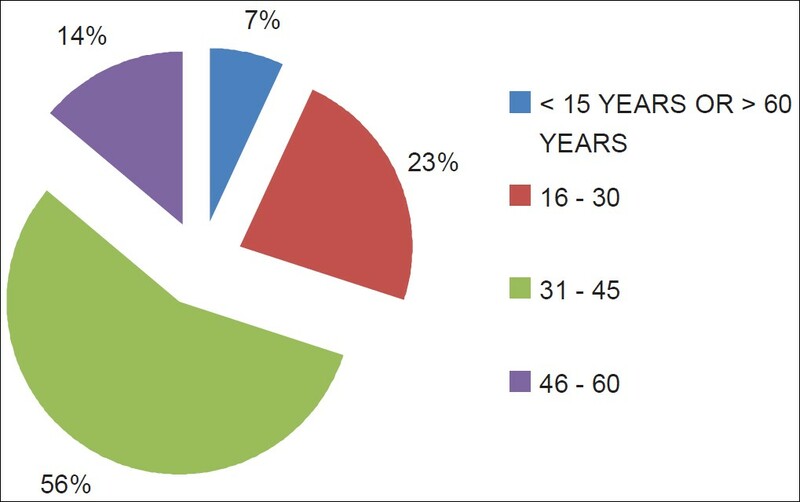 Materials and Methods: This cross-sectional study included 352 HIV-infected patients seen at PGIMER, Chandigarh, India, over a period of 1 year. The patients were screened for mucocutaneous disorders by an experienced dermatologist. The patients were classified into different stages according to the World Health Organization clinical and immunological staging system. Results: The most prevalent infection was candidiasis, seen in 57 patients (16.2%). Prevalence of candidiasis, dermatophytosis, herpes simplex, herpes zoster, molluscum contagiosum (MC), seborrheic dermatitis, adverse drug reaction, nail pigmentation, xerosis and diffuse hair loss differed statistically according to the clinical stages of HIV infection. There was a statistically significant association between immunological stages of HIV infection and dermatophytosis. Conclusion: Results of our study suggest that mucocutaneous findings occur throughout the course of HIV infection. Dermatoses like MC and dermatophytosis show an inverse relation with CD4 cell count, and these dermatoses can be used as a proxy indicator of advanced immunosuppression to start highly active anti-retroviral therapy in the absence of facilities to carry out CD4 cell count. 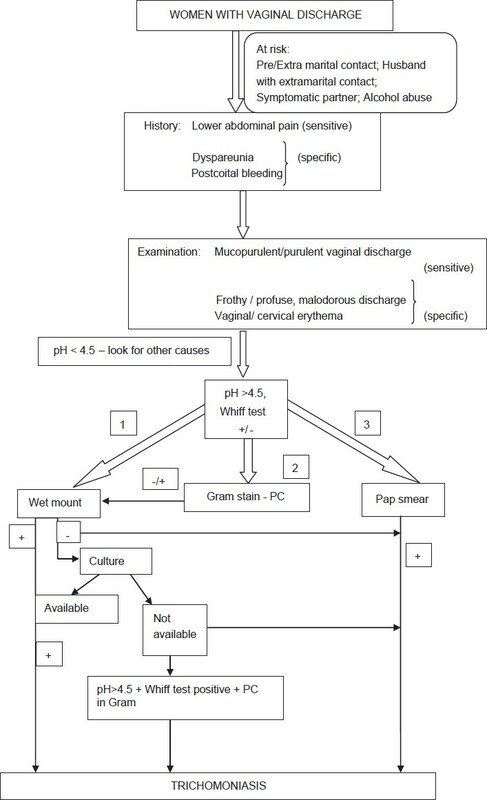 Background: Diagnosis of Trichomonas vaginalis vaginalis infection based solely on clinical symptoms and signs is unreliable because the spectrum of infection is broad and other sexually transmitted pathogens cause similar signs and symptoms. Aims: Our study was undertaken to study the frequency of T. vaginalis infection in women presenting with vaginal discharge, to characterize the clinical features, and to study the sensitivity and specificity of microbiological investigations in the diagnosis of the same. Materials and Methods: This was a hospital-based descriptive study done on 400 female patients with vaginal discharge attending the Gynecology out-patient department (OPD) of JIPMER, Puducherry, from May 2010 to July 2011. Women of age between 20 years and 50 years presenting with vaginal discharge irrespective of marital status, were included, and detailed history was elicited and thorough examination was performed. Results: In 400 women presenting with vaginal discharge from Gynecology out-patient department (OPD) included in the study, T. vaginalis infection was found in 27 (6.75%) women. The risk factors for trichomoniasis included history of pre- or extramarital sexual contact in the woman or her partner, symptomatic partner, and alcohol consumption. A positive association with pelvic inflammatory disease was also observed. The most frequent symptoms included lower abdominal pain, dysuria, and dyspareunia. Combining of Whiff test, pH > 4.5, and pus cells in Gram-stained smear, the specificity in diagnosing the infection (97.3%) approached that of the reference standard, i.e., culture. On combining wet mount with Papanicolaou smear, the sensitivity increased to 92.6%, which was higher than that individually done. Conclusion: To conclude, diagnosis of T. vaginalis infection based solely on clinical symptoms and signs is unreliable, and combination of simple laboratory tests increases the diagnostic performance close to the reference standard (culture), especially in resource poor settings. Late congenital syphilis refers to the people with syphilis from the age of 2 to 30 years. 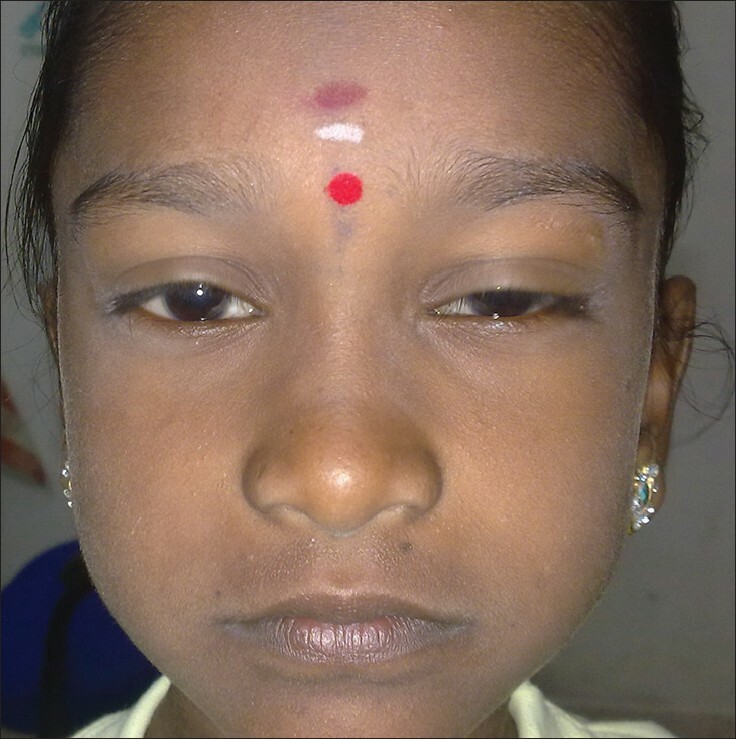 We report a case of late congenital syphilis in a 9 year old girl with perforation of palate and saddle nose deformity. Kassowitz law was also observed (if a woman with untreated syphilis has series of pregnancies, the likelihood of infection of the fetus in later pregnancies becomes less).Venereal Disease Research Laboratory (VDRL) and Treponema pallidum hemagglutination (TPHA) were reactive. Computed tomography (CT) scan of paranasal sinus showed maxillary and nasal polyps. The case reported here is a rare presentation of late congenital syphilis with perforation of palate and saddle nose deformity. Pseudoepitheliomatous, keratotic and micaceous balanitis (PKMB) is a non-venereal and extremely rare pre-malignant condition characterized by silvery white plaque with micaceous scaling on glans seen in elderly uncircumcised men. Symptoms include phimosis, pain, and interference with sexual activity.Herein we present a young, 40-year-old male with PKMB of 5 years duration with deviation of urinary stream and histology showing acanthosis, hyperkeratosis with features of cellular atypia and abnormal mitosis suggestive of malignant transformation. Perianal pseudoverrucous papules and nodules (PPPN) is a rare entity attributed to chronic irritation. We came across this entity in a case of spina bifida. A 14 year old girl having spina bifida at L3 presented with complaints of multiple asymptomatic whitish lesions on the inner aspect of thighs and labia majora since early childhood. She had incontinence of stool and urine since birth. Cutaneous examination revealed multiple 3-12 mm flat topped moist papules, few verrucous nodules, some of these lesions coalesced to form plaques at the perianal area extending upto the labia majora. On histology marked epidermal hyperplasia and pale keratinocytes in the epidermis was seen. This confirmed the diagnosis of PPPN. This rare condition can be mistaken with sexually transmitted diseases leading to unnecessary investigations and treatment. The incidence of Warfarin-induced skin necrosis (WISN) is very low 0.01-0.10%. The majority of the WISN cases appear between day 3 and 6 of onset of Warfarin therapy. The cases of late onset WISN are rarely seen. We report a case of late onset WISN in a young human immunodeficiency virus positive female patient with thrombotic pulmonary embolism and reactivation of pulmonary tuberculosis. Congenital syphilis is a potentially serious pathology affecting newborns of infected mothers. Even one case of congenital syphilis is a sentinel public health event, since timely diagnosis and treatment of syphilis infected pregnant woman should prevent transmission almost entirely. Here, we are reporting a case of early symptomatic congenital syphilis presented with severe desquamating papulosquamous lesions over multiple body parts along with erosive lesions around oral cavity and nostrils.